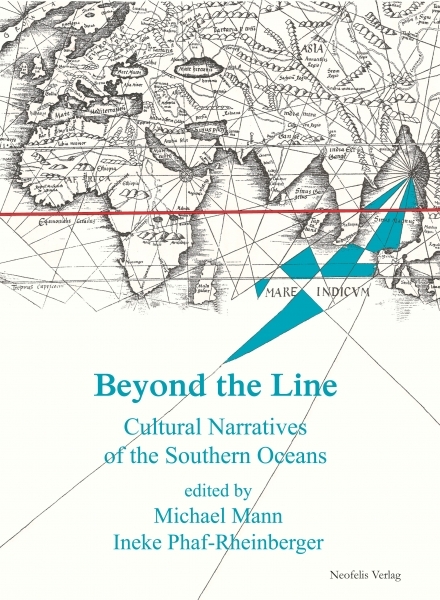 The title of Beyond the Line refers to the imaginary “Line” drawn between North and South, a division established by the Peace Treaty of Cateau-Cambrésis in 1559. This is an early modern time and Eurocentric construction, according to which the southern oceanic world has long been taken as symbol of expansionist philosophies and practices. An obvious motivation for changing this “Line” division is the growing influence of the “Global South” in the contemporary economic and political setting. However, another motivation for changing opinions in regard to the “Line” is equally important. We observe an emergent consciousness of the pivotal role of the oceanic world for human life. This requires the reformulation of former views and raises numerous questions. A diversity of connections comes to the mind, which demands the composition of a catalogue of case studies with an oceanic horizon. Through this operation, different problems are being linked together. Which problems encounter historians with their research on fishes in the archives? How to trace records about pirates of non-European descent in the Indian Ocean? Which role play the Oceans as mediators for labor migrations, not only of the Black Atlantic but also of people moving from Asia to Africa and vice versa? What do we know about workers on the oceans and their routes? When considering oceans as “contact zones,” with which criteria can their influence in different literary texts be analyzed? Is it possible to study nationalisms taking into account these transoceanic relationships? And how do artists address these questions in their use of the media? Against the background of this catalogue of oceanic questions, “old” stories are told anew. Sometimes, their cultural stereotypes are recycled to criticize political and social situations. Or, in other cases, they are adopted for elaborating alternative options. In this sense, the contributions concentrate on countries like India, Kenya, Angola, or Brazil and cover different academic fields. A variety of objects and situations are explored, which have been and still are determinant for the construction of cultural narratives in view of the modified relationship with the geographically southern oceanic regions. Mit Beiträgen von Georg Berkemer, Derek L. Elliot, Ute Fendler, Margret Frenz, Michael Mann, Ineke Phaf-Rheinberger, Sebastian R. Prange, Ana Sobral und Frank Schulze-Engler.